Kia introduced the 3 Door version of the Kia Picanto city car for the first time. 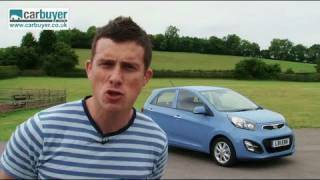 The 3 Door Kia Picanto will be available in four trim levels and will go on sale in the UK from 1st September 2011 with OTR pricing starting from £7,795. Following on from the recent launch of the all-new Picanto city car Kia is introducing a three-door version to the line-up for the first time since the model appeared in 2004. The distinctively styled three-door version, with a new range of trim levels, will go on sale in the UK from 1stSeptember. The three-door Picanto has a unique, sporty character while still managing to deliver the same, seemingly contradictory, upgrades as the more family-focused five-door: stronger performance with lower fuel consumption and CO2emissions, the safety and luxury features of a large car without an outrageous price tag, and practicality within a compact package. If the five-door Picanto is ‘the small car, grown up’, then the three-door is the same but with a twinkle in its eye. The three-door Picanto offers brand-new 1.0- and 1.25-litre Kappa-family petrol engines, which deliver fuel economy of up to 67.3mpg with CO2emissions as low as 99g/km. The larger engine is available with Kia’s EcoDynamics fuel-saving technology – an Intelligent Stop & Go engine stop/start system – or, alternatively, with automatic transmission. ABI Insurance Group Ratings are to be confirmed.